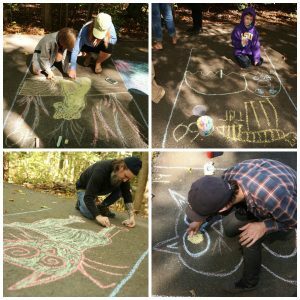 Home » Driveway Cats chalk art event sells out supporting big cats in need! 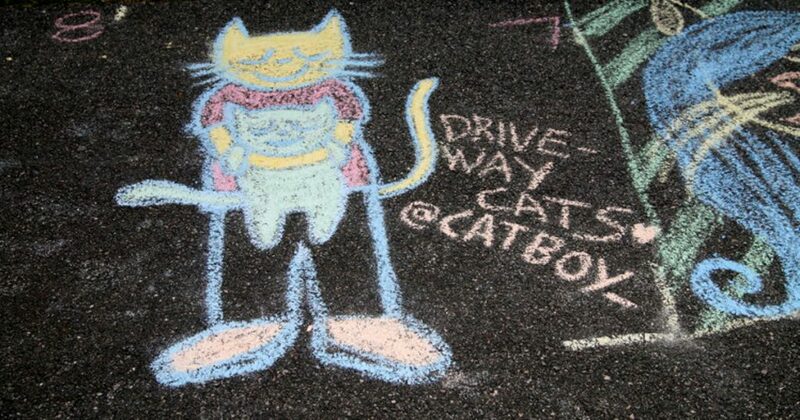 Driveway Cats chalk art event sells out supporting big cats in need! What started out as an art benefit idea three years ago has grown to a highly anticipated event, selling out in only two days this year. 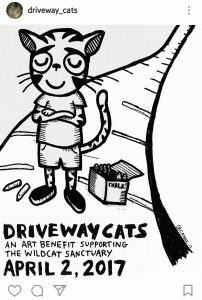 The idea’s simple – you pay to reserve a space, you draw a cat with chalk, you drink beer (if you’re 21 of course) and you have fun! The first year, the benefit raised enough to sponsor tigress Ekaterina. The second year, the goal was to sponsor two big cats. But it was so successful, they raised enough to sponsor four big cats. And this year, they raised even more – enough to sponsor more than five rescued wild cats at the sanctuary for a year! 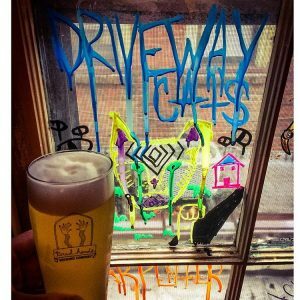 Tired Hands Brewing created a special Catnip Pilsner for the event named (as you probably guessed) “Driveway Cats” and a bottle auction raised even more funds for the cats. Art posters and gift packs were also sold to boost the grand total. What’s most amazing is that Dave and April have pulled this event off totally on their own. They handle all the details and the most they’ve ever asked for is some brochures to hand out. They’re such an inspiration of what you can do in a unique way that benefits so many. 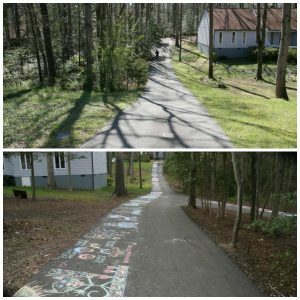 It’s fun…..and it’s fundraising!